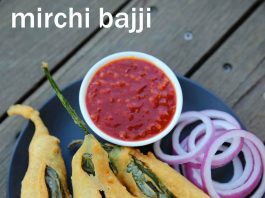 mirchi bajji recipe | chilli bajji | mirapakaya bajji | menasinakai bajji with detailed photo and video recipe. a spicy and savoury snack recipe made with green chillies or also known as jalapenos. 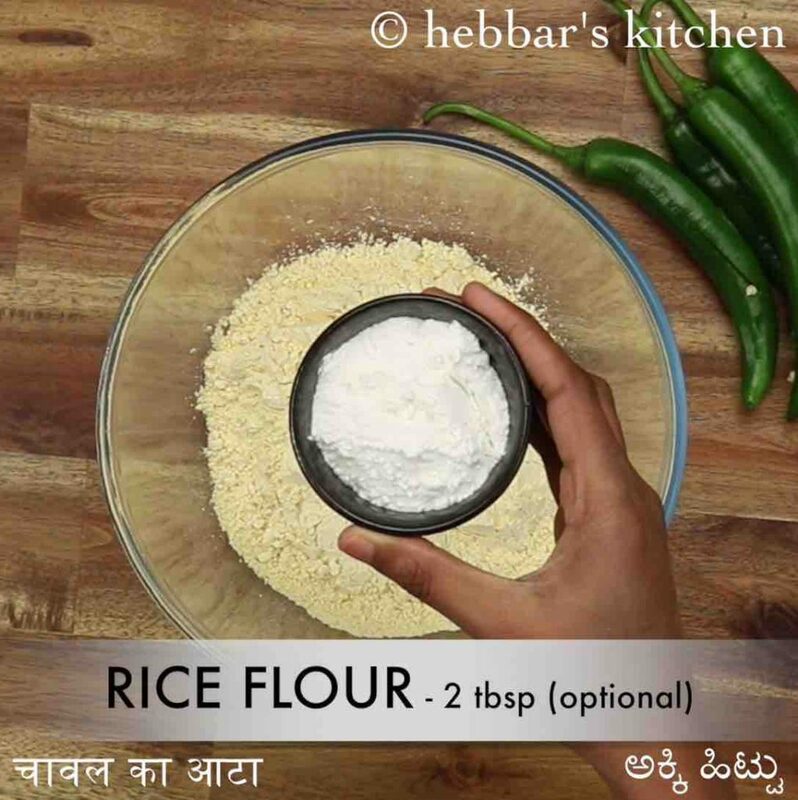 it is a perfect evening snack with a cup of tea or coffee, especially during monsoon or winter season. 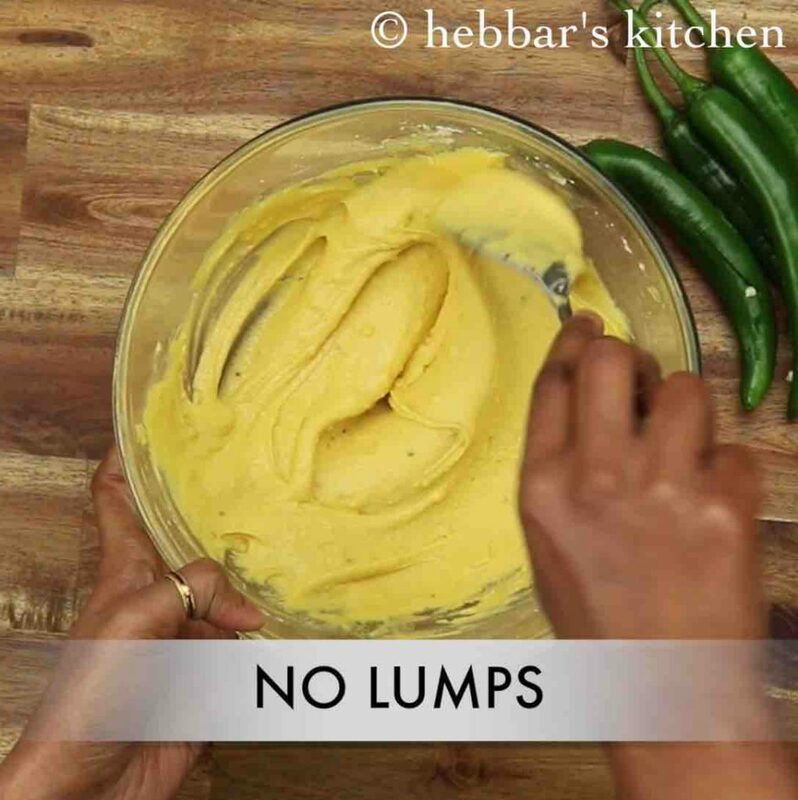 it is generally eaten as it is without any sides but tastes great with dips like green chutney, tomato sauce or schezwan chutney. 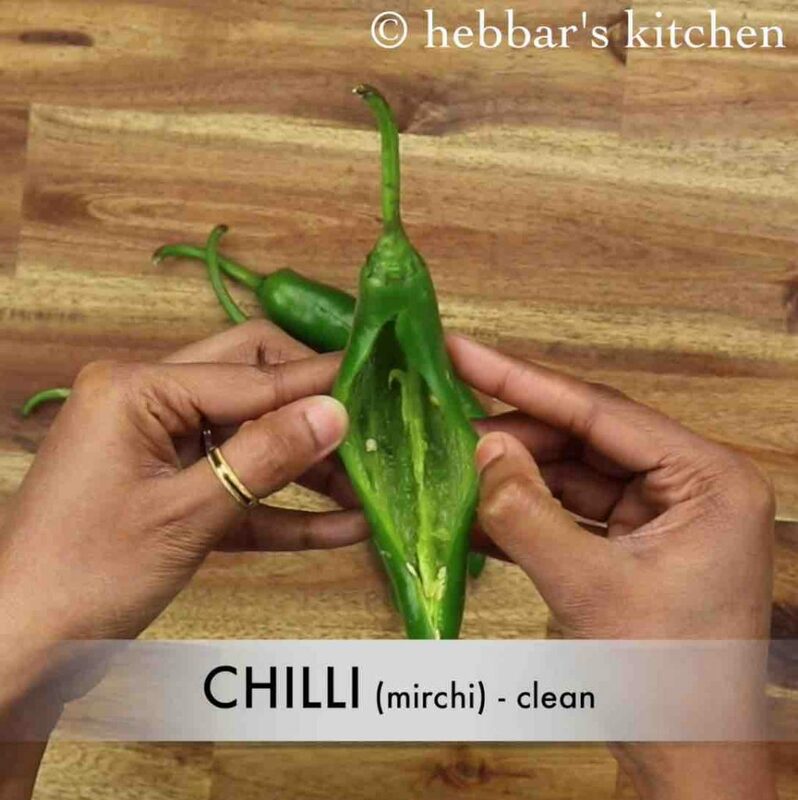 mirchi bajji recipe | chilli bajji | mirapakaya bajji | menasinakai bajji with step by step photo and video recipe. indian cuisine is incomplete without highlighting the lip-smacking street food cuisine and its recipes. generally, when it comes to street food it is either indo chinese or chaat recipes which takes the top spot. 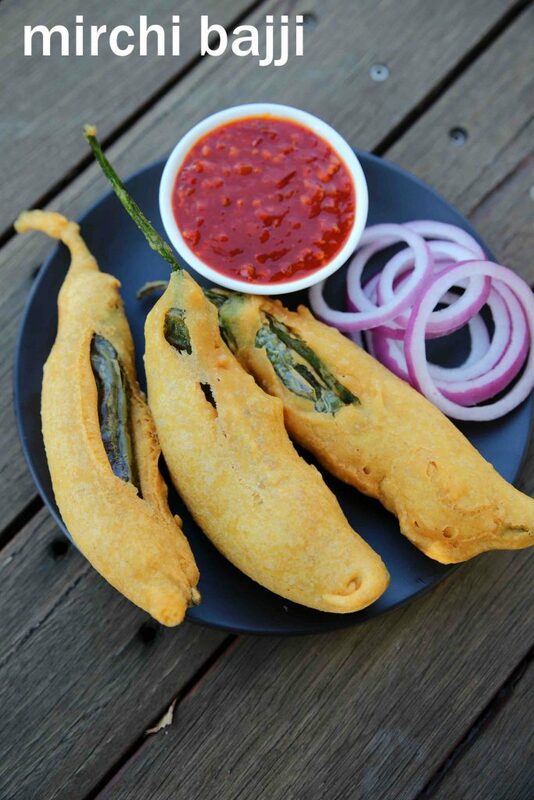 but there are certain deep fried recipes like mirchi bajji recipe which is equally appreciated as street food recipes. i am a huge fan of chilli recipes, and i always make sure to have some extra green chillies or banana peppers in my fridge for some lip-smacking recipe. my personal favourite is stuffed mirchi-bajji with spiced capsicum and potato stuffing. but i wanted to share a plain chilli bajji without any stuffing as it is more appreciated than the former one. basically, i have tried to share an authentic street style variation without any extra spice added to the batter. some prefer to add garam masala, chilli powder or even chaat masala to the besan batter. but i have skipped it and added just ajwain and salt as it is done by street vendors. basically, it does not require any other spice as the chilli or banana pepper has the required zing or spice for this recipe. 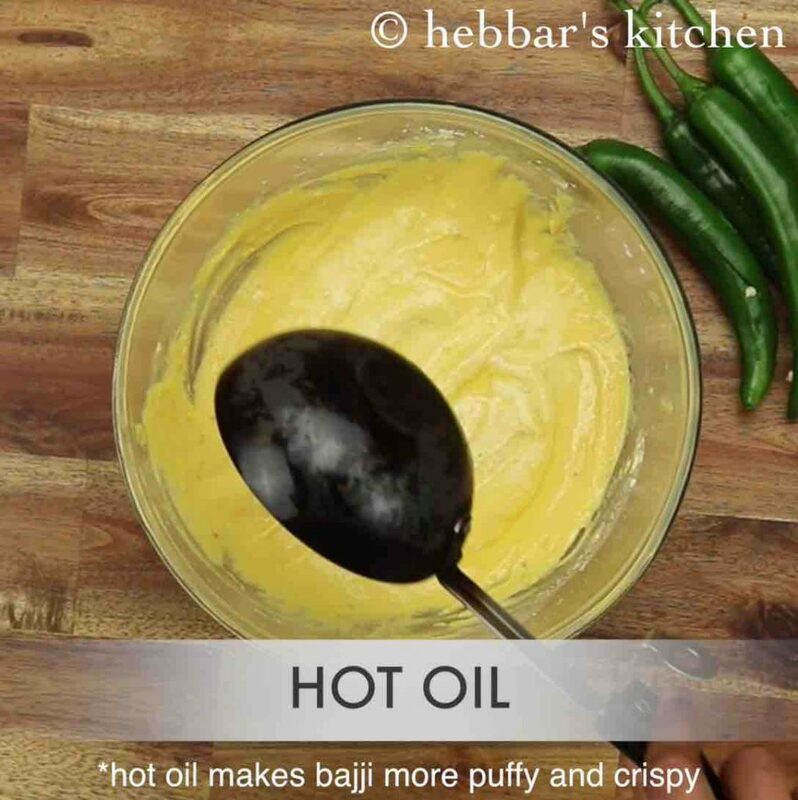 furthermore, some important and critical tips and recommendations while preparing the north karnataka style mirchi bajji recipe. firstly, in this recipe, i have deseeded the chillies before dipping it in the besan batter. this is very important to lower the temperature of chillies. but if you are comfortable with the spice level, then go ahead and leave it as it is. secondly, the besan batter has to be thick like idli batter and should not be watery. 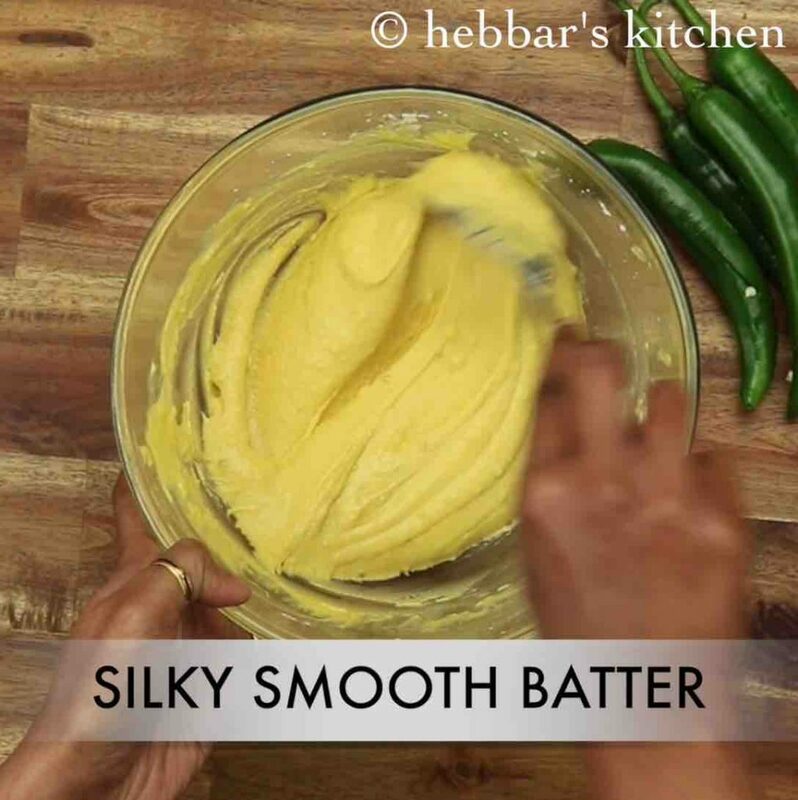 thick besan batter would yield a fluffy mirchi bajji after deep frying. lastly, some prefer to stuff it with finely chopped onions just before serving. it is popular in andhra variation. i have skipped it but if you like to experiment, you can add it. firstly, take long green chilis and slit at the centre and remove seeds. now prepare the bajji batter by taking 2 cup besan and 2 tbsp rice flour in large mixing bowl. 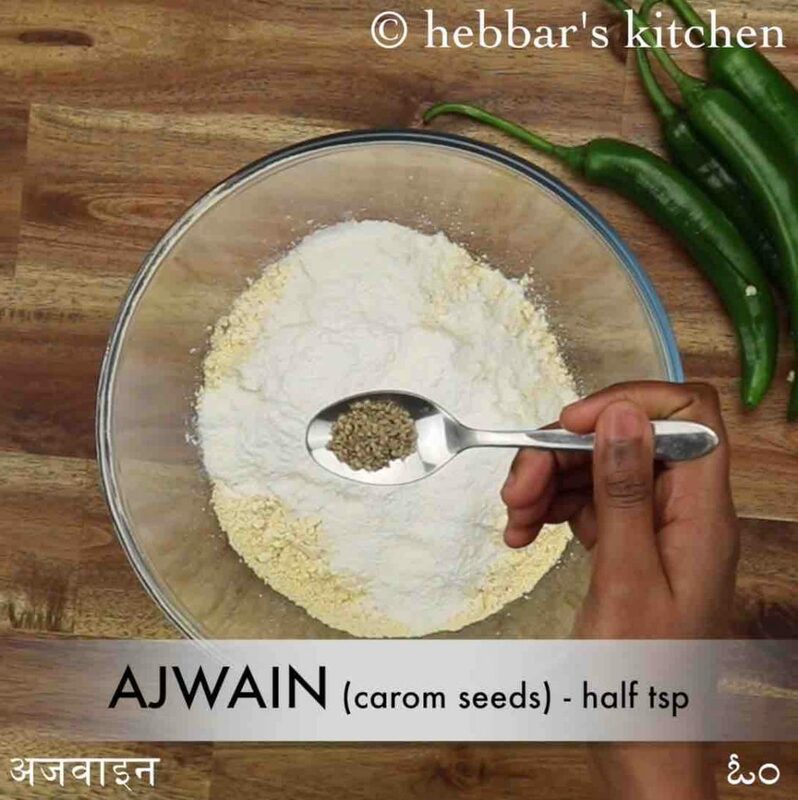 also add ¼ tsp ajwain, ¼ tsp baking soda and ½ tsp salt. 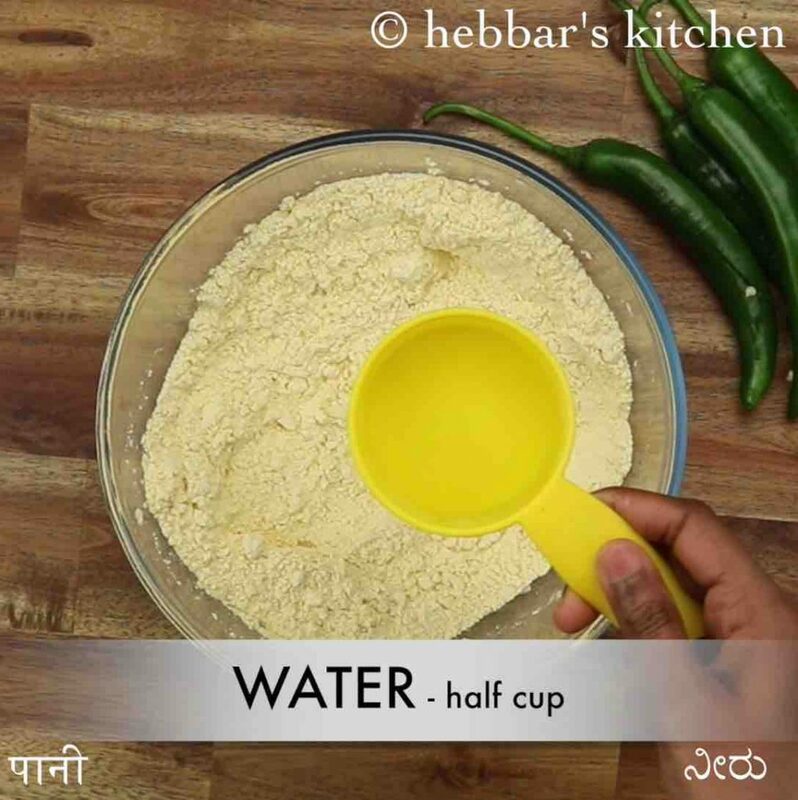 now add ½ cup of water and mix well. add water as requried and prepare a lump free thick batter. further pour 1 tbsp of hot oil over the batter and mix well. mix well to smooth and silky batter. 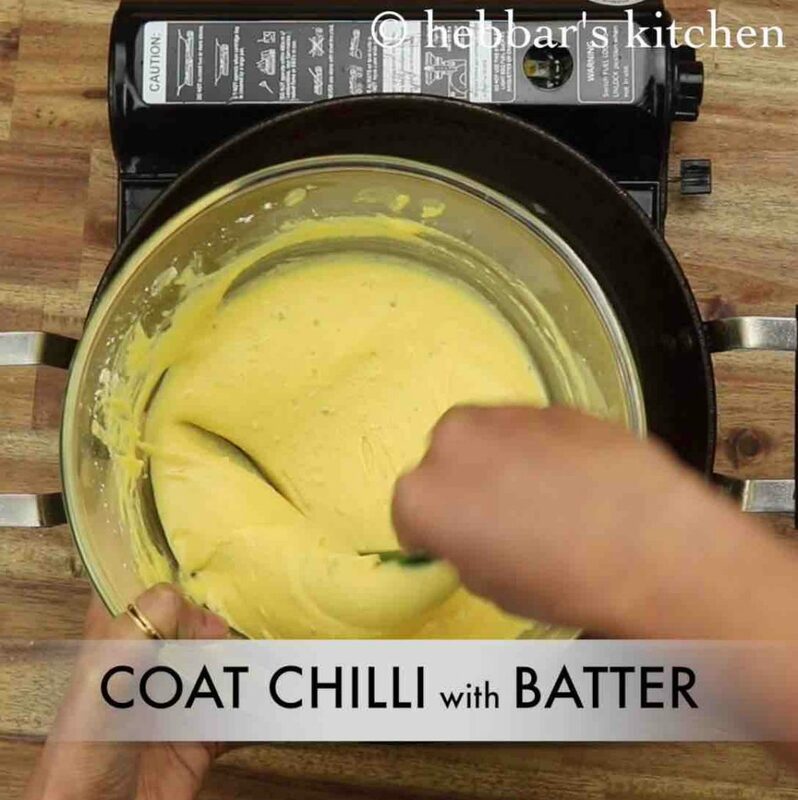 now dip the green chilli and coat it with besan batter completely. wipe off slightly, exposing green chilli slightly. deep fry in hot oil dropping batter coated chillis slowly. keeping the flame on medium, flip over and fry all the sides. 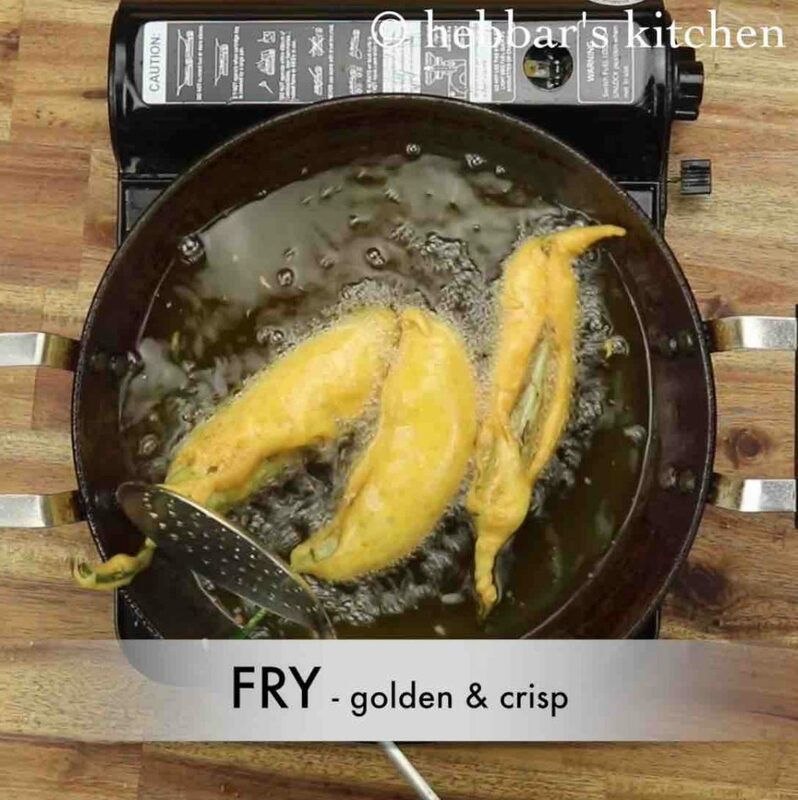 fry until the bajjis turn crisp and golden brown. finally enjoy mirchi bajji with sauce or chutney. firstly, take long green chilis and slit at the centre. 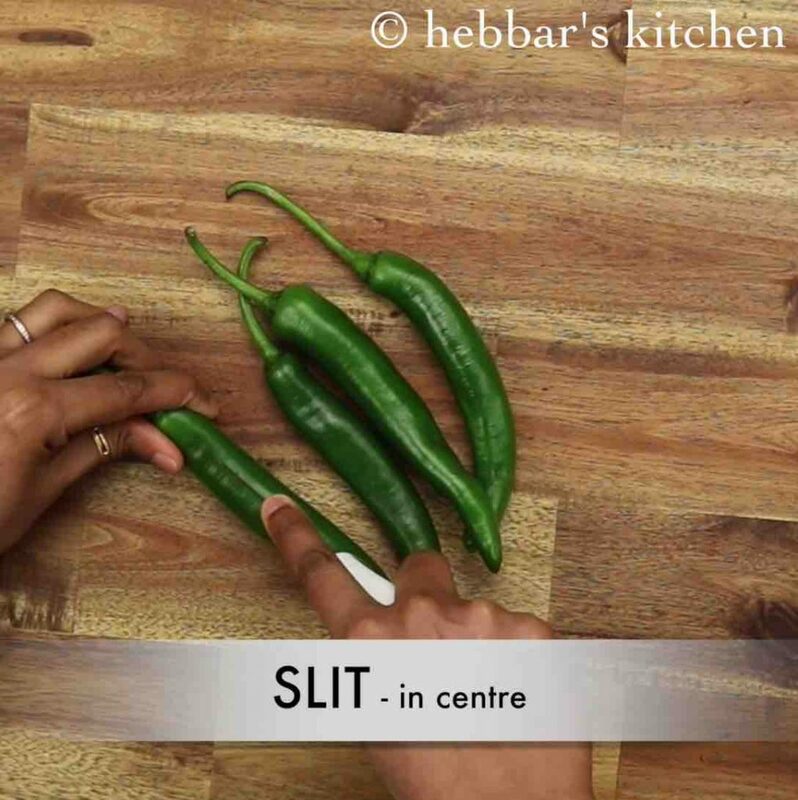 make a slit without cutting the chilis completely. remove the seeds from the centre without breaking the chilli. 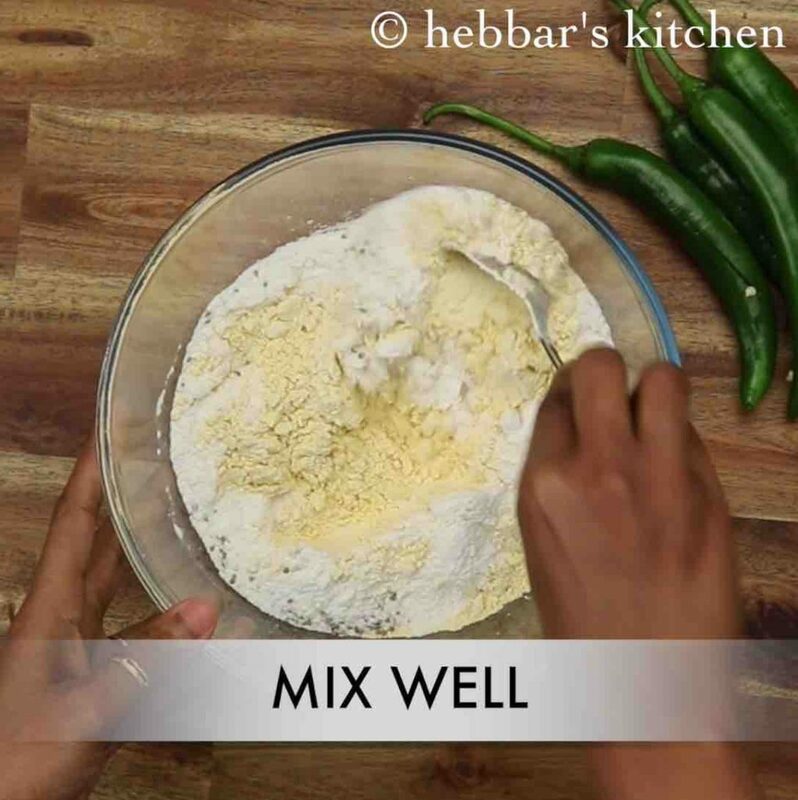 removing seeds helps to reduce the spiciness of the mirchi bajji. now prepare the bajji batter by taking 2 cup besan and 2 tbsp rice flour in large mixing bowl. rice flour helps to make bajji more crispy. add water as required and prepare a lump free thick batter. further, pour 1 tbsp of hot oil over the batter and mix well. 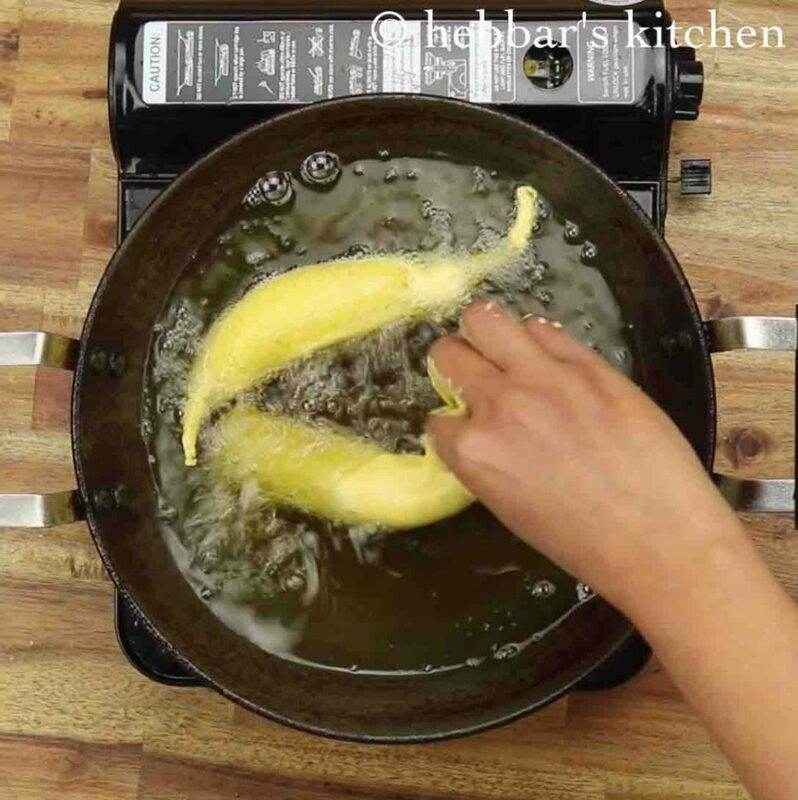 adding oil makes batter light helping to make puffy bajji. mix well to a smooth and silky batter. 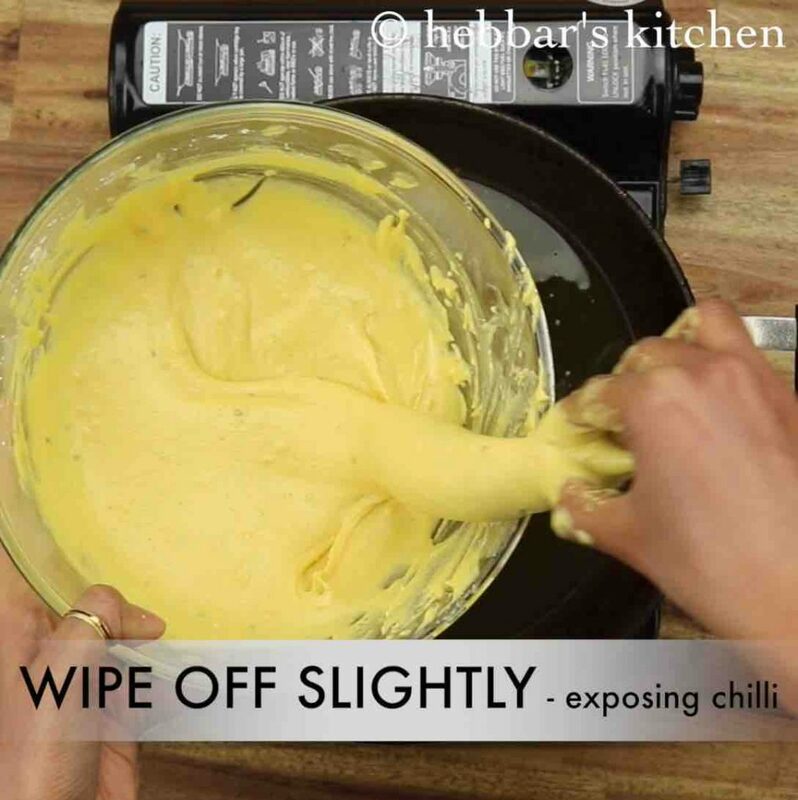 wipe off slightly, exposing green chilli slightly. this helps chilli to fry and reduce spiciness. 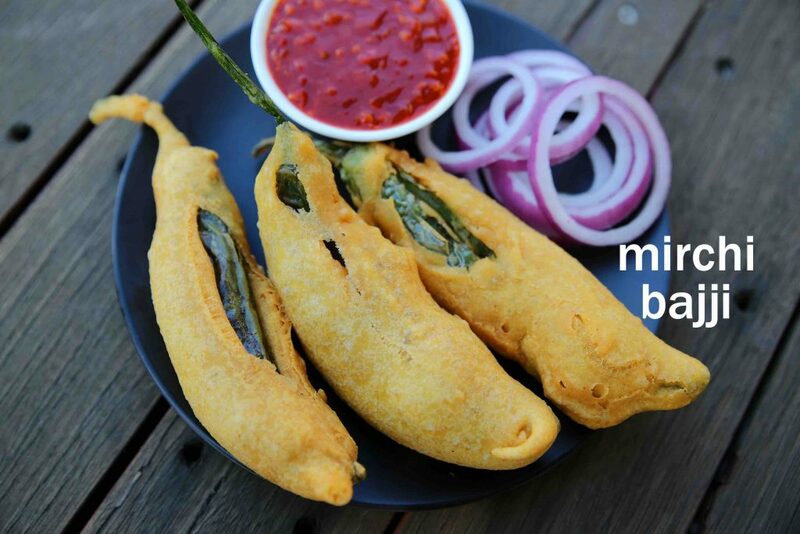 finally, enjoy mirchi bajji with sauce or chutney. firstly, if you are looking for hot mirapakaya bajji then skip removing seeds of chilli. also, you can prepare stuff green chilli bajji by stuffing aloo mixture. 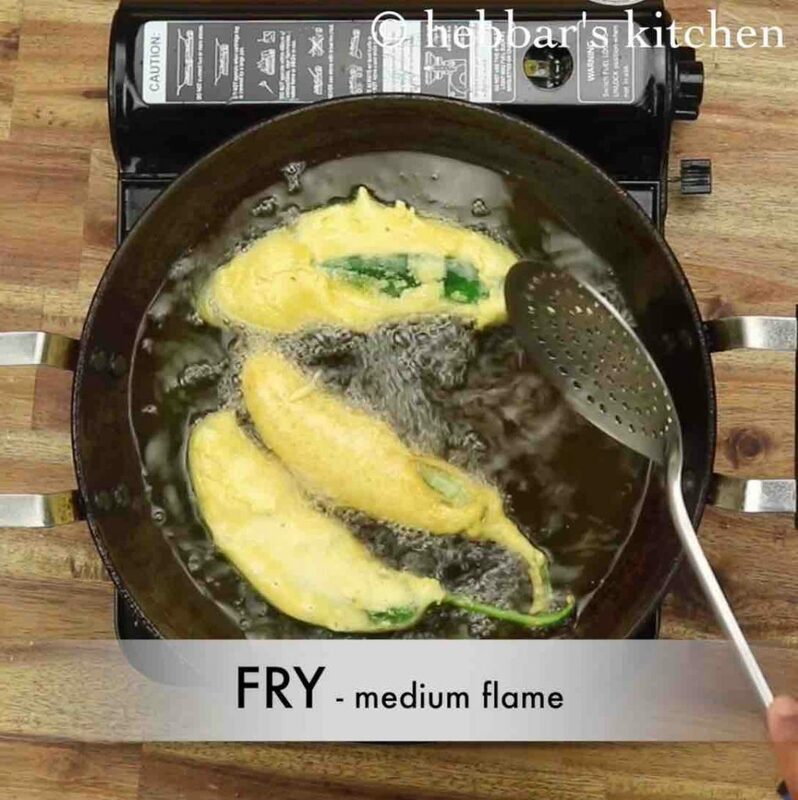 additionally, fry on medium flame, else the batter will not get cooked from inside. finally, mirchi bajji recipe tastes great when served hot.